The South Central Jurisdiction’s episcopacy committee voted Tuesday night to retire North Texas Conference Bishop Earl Bledsoe involuntarily, citing concerns about his administrative abilities. Such a move by a jurisdictional episcopacy committee apparently is a first for the United Methodist Church. At this time, it is expected that this decision will not affect the number of bishops to be elected at the South Central Jurisdictional Conference begin Wednesday, July 18. Currently the number of open episcopal positions in the Jurisdiction stands at three. Bishop Bledsoe (photo left) could appeal the decision to the United Methodist Church Judicial Council. Bishop Bledsoe said he and his wife are praying about whether to appeal the committee’s decision. Committee Chair Don House said he expects and welcomes an appeal, believing it would bring clarity to church law about supervision of bishops. If Bishop Bledsoe does appeal, he’ll remain an active bishop until the Judicial Council rules, though he could be assigned to another conference. A Judicial Council ruling is unlikely to come quickly, given that the council doesn’t meet again until October and has set that meeting’s docket. The committee’s decision followed a negative performance review it gave Bishop Bledsoe for his four-year tenure in the North Texas Conference, and a request that he retire voluntarily. The vote for involuntary retirement was taken on a secret ballot, with 24 in favor, four against, and two abstaining, said Mr. House. Mr. House described wrenching, closed-doors deliberations that went on much of Monday and well into Tuesday evening. But he said the committee had serious concerns about Bishop Bledsoe’s administrative abilities. He emphasized that the committee felt the decision was in the best interest of the UMC. “We believe it is a strong statement about accountability” for church leaders, he said. Bishop Bledsoe, 61, said late Tuesday night that he and his wife, Leslie, were disappointed by the decision, but not angry. “I just want to say thank you to God and to my savior Jesus Christ for the North Texas Conference and the wonderful people that faithfully serve Christ in their local settings,” he said. Bishop Bledsoe emphasized that he holds no ill will toward the committee. But he continued to question the fairness of the evaluation, and noted that under him the conference has shown gains in average worship attendance and payment of apportionments, and has started 20 churches. “If you looked at what we were trying to accomplish in North Texas, I would put my record, my numbers, against any other conference,” he said. The episcopacy committee’s decision comes on the brink of the South Central Jurisdictional Conference, which runs Wednesday through Saturday here in Oklahoma City, and will include election of three bishops. When elections are done, probably late Thursday or Friday, the episcopacy committee will go back to work, recommending to the full conference where bishops will be assigned. Bishop Bledsoe will be part of that process, unless he decides not to appeal the committee’s decision to retire him. He said he would prefer to remain with the North Texas Conference, but understands that’s not his call. Methodist historians said the episcopacy committee’s decision Tuesday appears to be a first. “To my knowledge, without further research, I am not aware of any example of a jurisdictional episcopacy committee placing a bishop on involuntary retirement,” said Robert Williams, top executive of the UMC’s General Commission on Archives and History. Mr. House said he too believes the move is unprecedented. Bishop Bledsoe himself noted the rarity of what has happened, and acknowledged that makes an assessment of fairness difficult. “As far as I know, no bishop has been subjected to this type of decision, so it’s hard to compare,” he said. 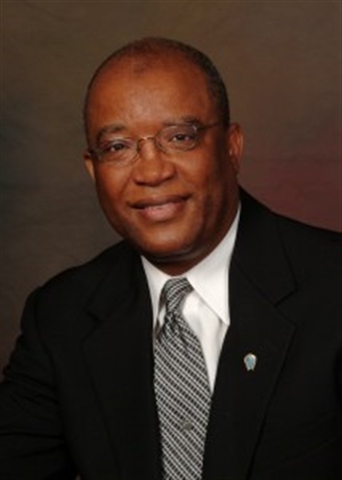 Bishop Bledsoe was a district superintendent in the Texas Conference when he was elected bishop at the South Central Jurisdiction four years ago. Assigned to the North Texas Conference, he made strong reorganizational moves early, including adoption of a strategic plan. But the Judicial Council decision found that part of his reorganization violated church law. Meanwhile, his appointment of a pastor from outside the conference to be a district superintendent displeased some North Texas clergy, who felt the job should go to one of their conference colleagues. More recently, Bishop Bledsoe had to deal with high-profile trouble at St. Luke “Community” UMC in Dallas. The pastor there, Tyrone Gordon, left amid accusations of sexual harassment. The conference eventually was named in two lawsuits that alleged insufficient supervision of Mr. Gordon. Bishop Bledsoe communicated with North Texas Conference clergy in a video this spring, acknowledging complaints about how his administration handled appointments and “triad” evaluations. He asked those who were concerned to come see him. The episcopacy committee went through a lengthy, two-part evaluation of all active bishops in the jurisdiction, looking at “metrics” but also drawing on interviews with conference leaders, said Mr. House. After meeting with Bishop Bledsoe on May 24, the committee voted to ask him to retire. Mr. House said he and another committee member delivered that message to him on May 29. On June 1, Bishop Bledsoe did another video for North Texas Conference clergy, announcing his retirement and giving no indication he was pushed. But on June 5, at the end of the conference’s annual gathering, he reversed course, dramatically informing the crowd of clergy and laity that he would fight to keep his job. Bishop Bledsoe openly questioned whether he was being evaluated fairly, and noted improving statistics for the North Texas Conference. Bishop Bledsoe is the third consecutive African American to lead the conference, and in his remarks at the end of Annual Conference, he said he had been hurt by hearing a report that someone had asked when the conference would get a white bishop. But he later used his blog to say that the dispute over whether he should retire was not about race. “For me, the single issue is about fairness and due process in assessing leadership and procedures that lead to more effective ministry at all levels of the church,” he wrote. Bishop Bledsoe repeated Tuesday night that he did not consider race to have any role in the episcopacy committee’s decision. In recent days, Bishop Bledsoe drew vocal backing from the Rev. Mark Craig, pastor of Highland Park UMC in Dallas, one of the denomination’s largest and wealthiest congregations. About 100 people came to Oklahoma City Monday to show support for Bishop Bledsoe – an effort sponsored by the North Texas Black Methodists for Church Renewal. But Bishop Bledsoe clearly faced opposition from clergy within the conference, something confirmed by Richard Hearne, who just finished a term as conference lay leader. “He lost the clergy,” Mr. Hearne said, adding he felt Bishop Bledsoe could have avoided the committee’s action by acknowledging mistakes and promising to do better. Bishop Bledsoe said Tuesday night that he had mistakes, but sized them up as typical of a first-term bishop, and added that he’d learned from them. And he was quick to tick off positive developments on his watch, including creation of a young clergy leadership program, the turnaround of Munger Place church and the growth of Christ’s Foundry church in an Hispanic part of Dallas. Mr. House said the committee was of “great things” in the North Texas Conference, and praised Bishop Bledsoe as “a gifted man, a dedicated Christian man in the church.” But he said the committee acted in the interest of the denomination. The episcopacy committee’s action comes soon after a General Conference in which delegates approved ending guaranteed appointment for clergy – something deemed necessary to remove ineffective clergy as the UMC tries to reverse numerical losses in the U.S. The Rev. Ted Campbell, associate professor of church history at Perkins School of Theology, said the episcopacy committee’s move seems in the same vein. “In recent years Methodist conferences and other groups have begun to implement stronger means of accountability and evaluation for church leaders,” he said. “This process has been far from consistent across the range of church institutions, and it’s not surprising that as new standards are implemented, we run into very big issues about how fair these process and evaluations are being applied. The Rev. Zan Holmes, well known as a preacher, teacher and civil rights advocate in Dallas, accompanied Bishop Bledsoe as clergy advocate in the Monday and Tuesday sessions with the episcopacy committee. He said he felt Bishop Bledsoe made a good case, offering testimonials and positive statistical evidence. “I’m very disappointed that the committee decided to retire this bishop at this time, in spite of the fact that he really worked hard to be a change agent in the North Texas Conference, for the good of the church,” Mr. Holmes said. He added that he would go along with Bishop Bledsoe’s assessment that race wasn’t an issue in the committee’s decision. In preparing for the episcopacy committee meetings, Bishop Bledsoe was assisted by Jonathan Wilson, a Dallas lawyer (and Highland Park UMC member) who said he was working pro bono. But Mr. Wilson, even as he gathered testimonials and marshaled other evidence, pointed toward an appeal. “From a legal perspective, we believe the committee actually does not have jurisdiction, and is not the proper forum for which this should be presented” under the church’s Book of Discipline, he said. *Sam Hodges is the managing editor for the United Methodist Reporter.